A debate over hydraulic fracturing (“fracking”) is heating up in Florida, and its benefits are being discussed in the media and in the legislature. While fracking does not currently take place in Florida, that hasn’t stopped the oil and gas industry from benefiting the Sunshine State in numerous ways. Oil and gas production in Florida is a more than $23 billion industry that provides nearly 300,000 direct and indirect jobs to local residents, totaling nearly $13 billion in labor income annually at an average salary that is more than $20,000 greater than the average Floridian’s salary. That represents 2.9 percent of the state’s total employment, 2.8 percent of the state’s total labor income, and 3.1 percent of the state’s total economic activity. And that’s without fracking in the oil and gas-producing regions across the state. Even if we look at a snapshot of just one company, Breitburn Energy Partners, the economic impacts already taking place from oil and gas development within the state are apparent. The company is the largest oil and gas producer in Florida, accounting for roughly 95 percent of the state’s current oil and gas production as of 2014. In terms of jobs, that equates to 150 direct employees and contractors, and another 750 vendors that Breitburn works with. The company also paid more than $130 million for capital goods and services, $33.9 million in production royalties, and $9.7 million in state and local severance and property taxes in 2014 alone. And that doesn’t even include philanthropic donations such as a $1.2 million pledge to fund 205 scholarships for the state’s Step Up for School Program in 2014. In other words, just one company in one year has paid back into the state and community roughly $181 million! 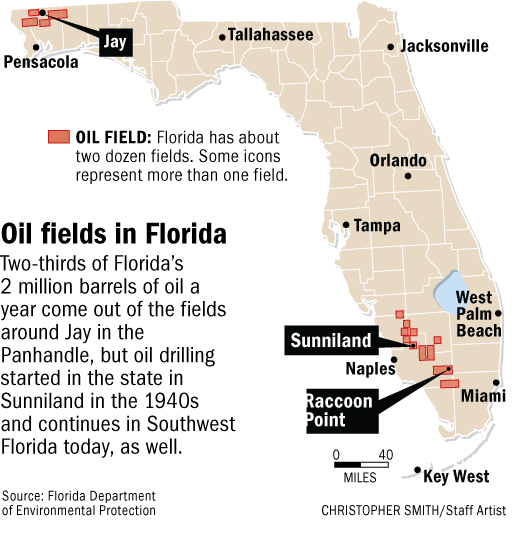 Any guess as to how many jobs would be created in Florida if companies one day decide to use hydraulic fracturing to release hydrocarbons from “tighter” formations would be just that—a guess. However, examining other energy producing states can give some idea of the potential that exists. Let’s look at one of the more robust energy producing states in the country: Pennsylvania. A study in published in 2011 found that each well that is drilled in the local Marcellus Shale requires an average of 450 people doing 150 different jobs to take the project from start to finish. That encompasses everyone from the Landman who negotiates leases to the roustabout working on the rig to the geologist monitoring soil samples collected as drilling takes places. And as more of the local workforce is trained in the specific needs of the industry, those individuals will be the ones that hold those jobs. It is important to note that 83 percent of the workforce in the Marcellus Shale hails from their home states within the major shale play. There is no question that if fracking were to come to Florida the economic benefits would not only be real, but could potentially be tremendous. For a productive debate to take place on this topic, the scientific literature as well as our 60-plus year history with the economic and environmental impacts of fracking need to be analyzed honestly. The good news is that Florida’s industry is already producing high-paying jobs, providing needed tax revenue for important public projects all while complying with rigorous environmental regulations.